~send between 6 and 20 medium res photos. ~6 to 10 looks. If you get accepted we will email you with instructions. ~send between 6 and 20 medium res photos. ~4 to 10 looks. If you get accepted we will email you with instructions. ***All submissions MUST be unpublished. There are no exceptions to this, exclusivity is an absolute. 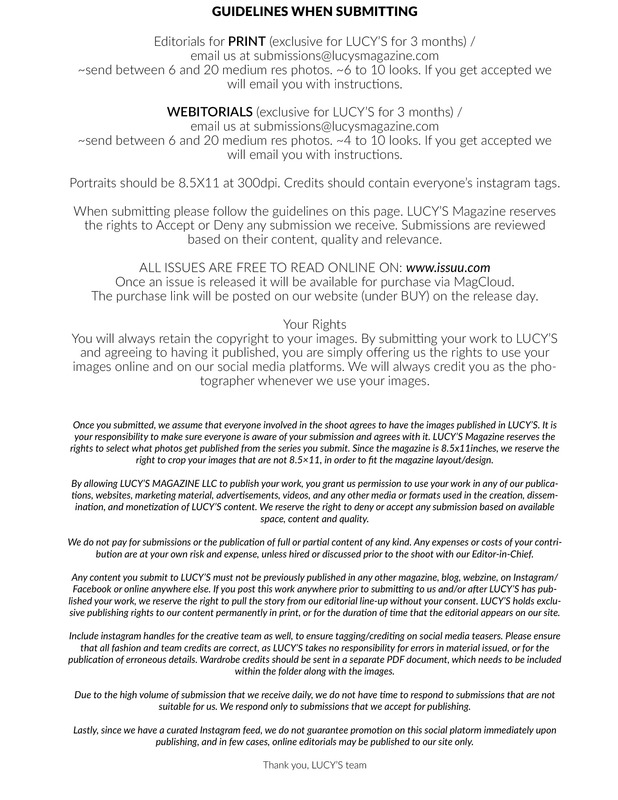 Email us at marketing@lucysmagazine.com and we will send you a MediaKit! Email Ramona at ramona@lucysmagazine.com for a pull letter request.